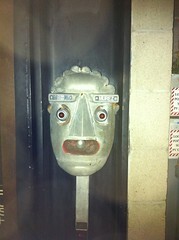 On a late night jaunt around Venice, I saw this door buzzer. I particularly like that one of the occupants is apparently named "Zooma Zooma". Venice is such a weird and interesting place.